Do you have an account with multiple locations or a new contact for the location being serviced? We can help you set those appointments up easily. First, which scenario best fits your situation? 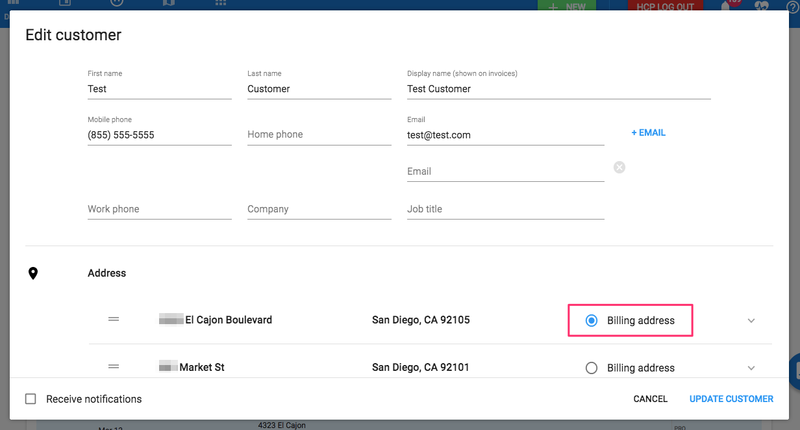 Scenario 1 - You have an account with multiple locations. The billing customer is the contact for this service location. Typically used for a billing customer who is also your contact. You do not need to schedule with another contact. (As an example, a place where you are always servicing empty units). Scenario 2 - Your customer is paying the bill, but you have another contact for the location being serviced. Typically used for when a Property Manager is paying the bill but you are contacting and scheduling with another person/contact. Scenario 1 - Apartment complex contacts you often to set up service on their apartments. The office is in charge of scheduling and billing. They are the personal contact for the job. The invoice needs to show which apartment is being serviced. Enter the customers information for the Apartment complex. 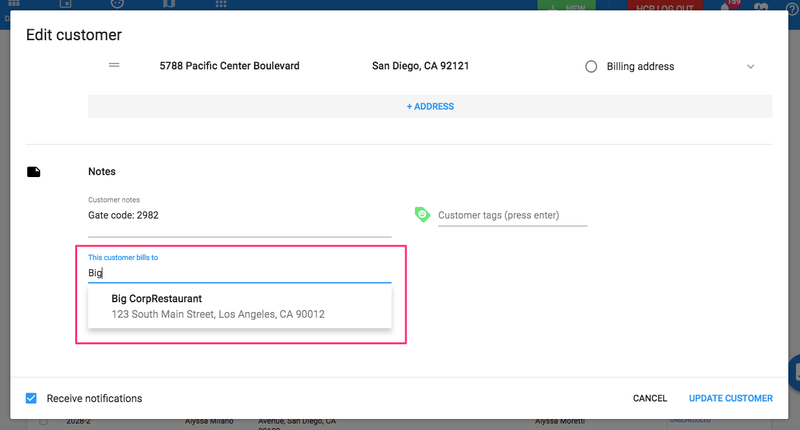 In the address fields be sure to enter and indicate which address is the billing address. Enter all service addresses for this location. Step 1 - Add a new customer (or edit an existing). Be sure to include all contact information. Under the address tab you can enter as many addresses as needed. Be sure to indicate which address is the billing address by clicking the 'Billing address' button to the right of the corresponding address. If it is an apartment complex and you have to add units, it is recommended to add a '#' before the unit number or letter. This is what the invoice will look like showing the Billing address and the Service address. Scenario 2 - You deep clean a restaurant once a month. Their parent company in another state pays the bill. You do all of the scheduling with the restaurant and do not go through the parent company to schedule, but they want a final bill. Enter both the parent company and service location as two separate customers. In the customer information as the service location, indicate who they are billing to. This way you will continue scheduling all appointments with that specific account, but the end bill will be sent to the parent (paying) customer. Step 1 - Enter both customers as a new customer. For the customer who is being serviced, be sure to select that they are billing to another saved customer. Select the correct customer to accept the bill and hit enter. The billing information will then be included in both customer profiles. All communication with scheduling will be done with the service customer. All invoicing/bills will be sent to the billing customer. What your invoice will look like to the billing customer.